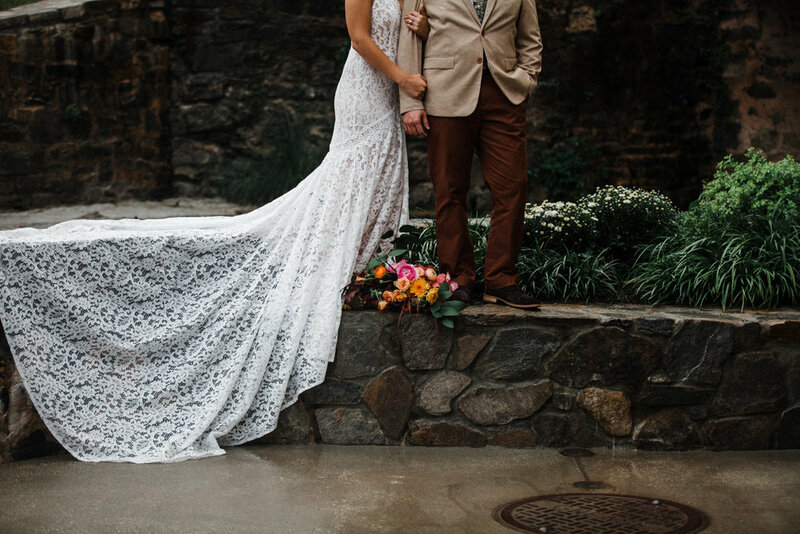 Despite heavy rain, so many talented vendors came together to execute this vision of a bewitching autumn wedding in the historic downtown area of Ellicot City, MD! 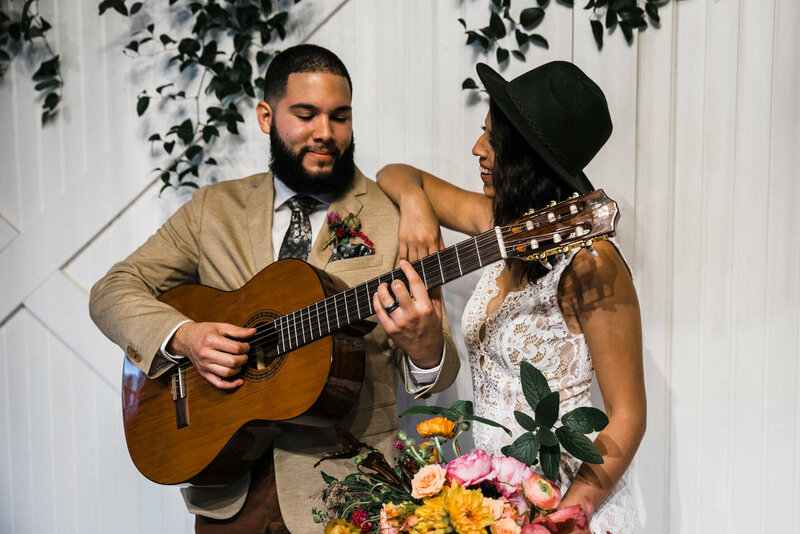 Real live couple Christian and Kristen Lopez (wedding photographers in their own right!) 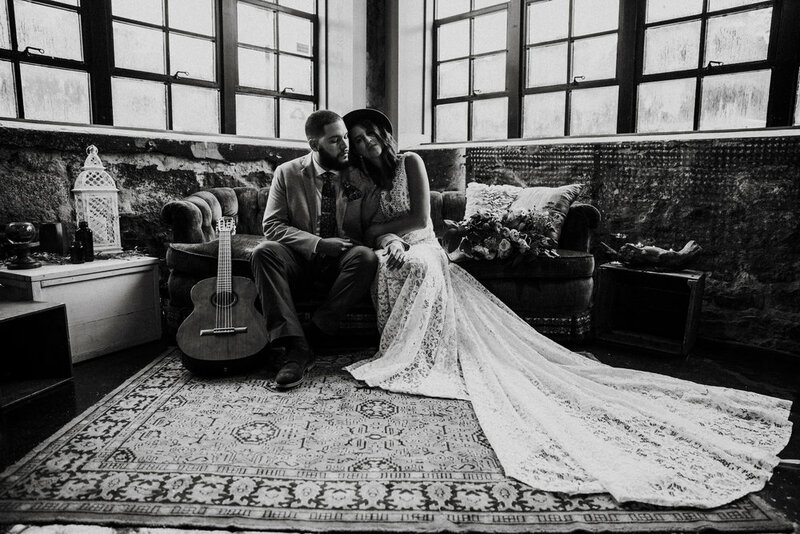 laughed, smooched and serenaded us with original pieces on the guitar. 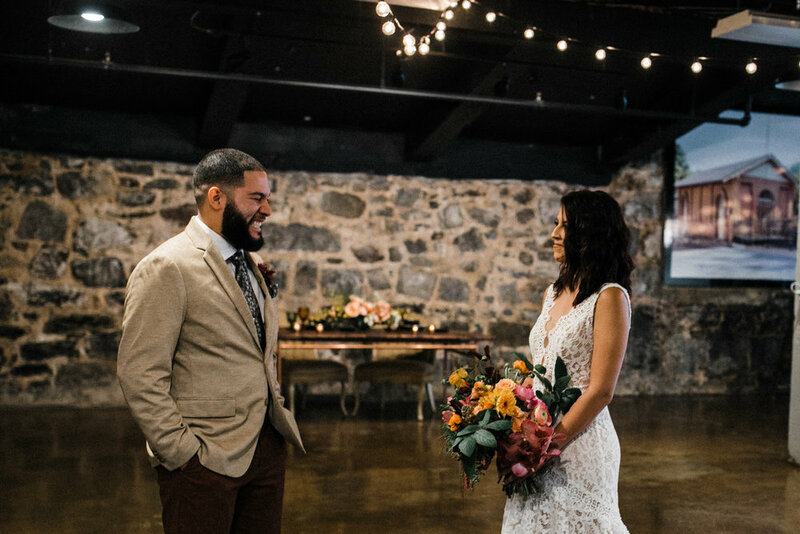 Vibrant shades of orange, red and gold in the flowers, cake, and styling pieces perfectly reflected the changing seasons. 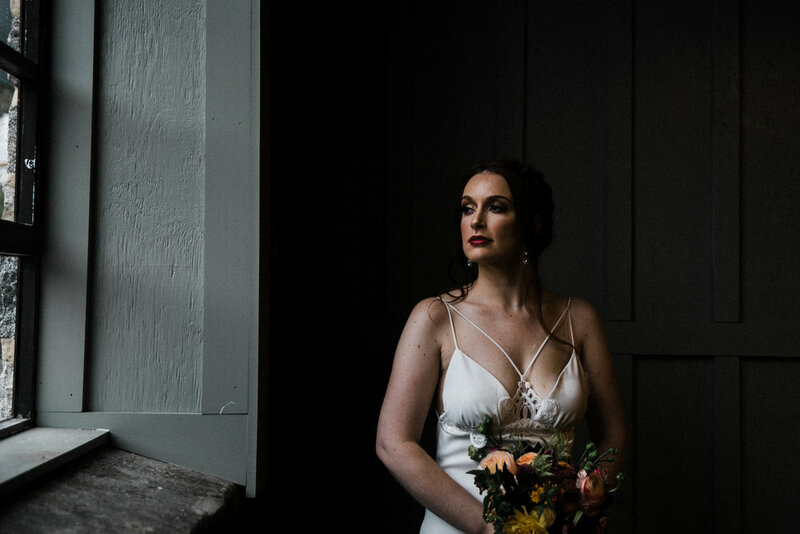 Model Mary Clark showcased a hair and makeup look perfect for the bohemian October bride. 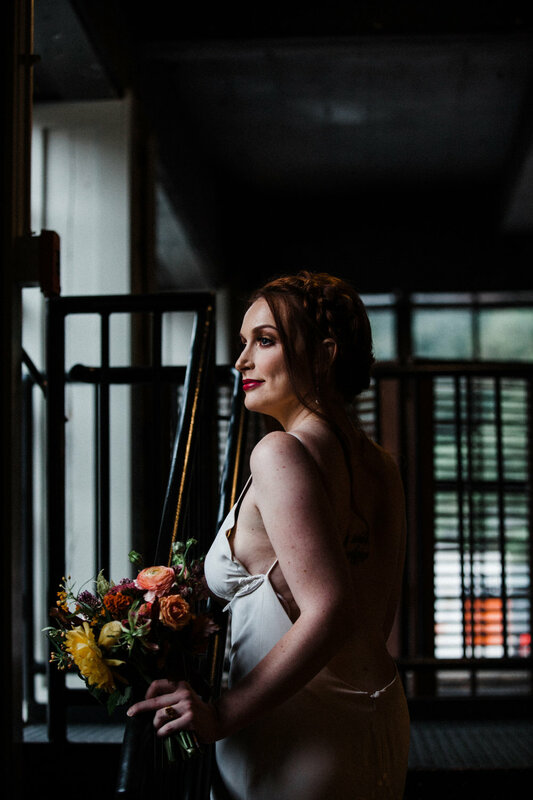 It was so much fun to capture this artistic and seasonal vision! 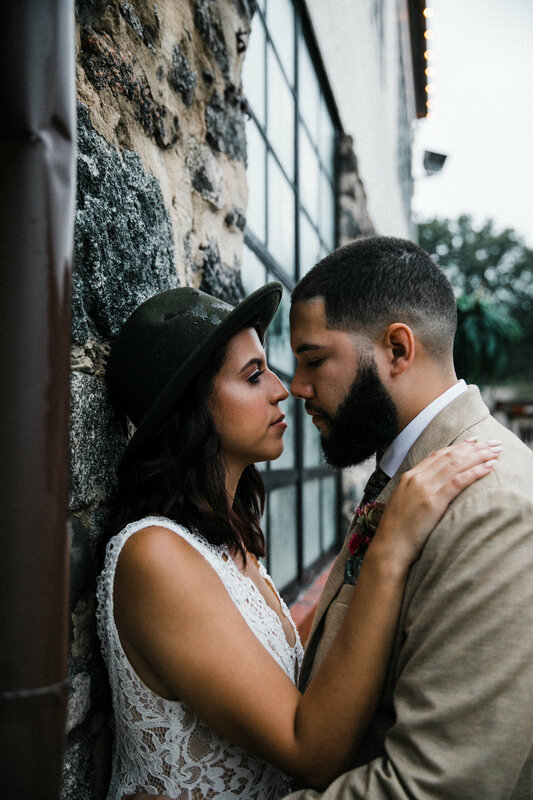 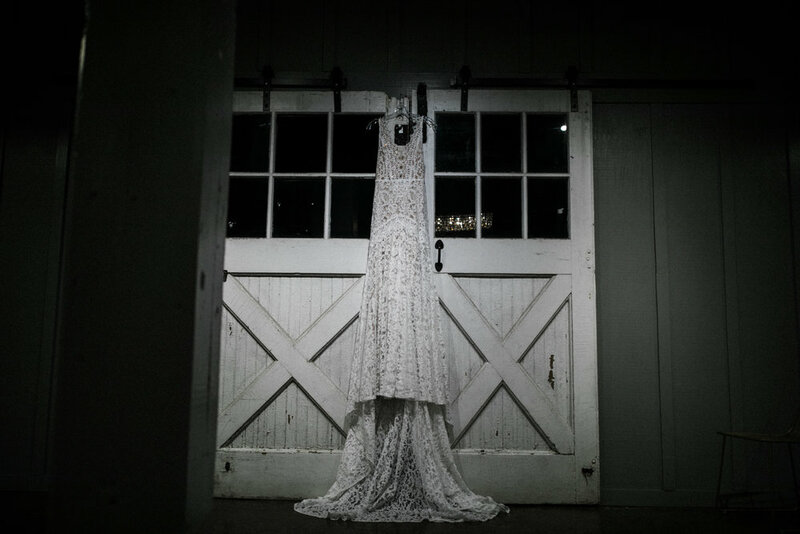 Update: this shoot is featured on Baltimore-based Wedding blog, Charm City Wed!